How do I determine the proper bracelet size? The best way to determine the best fit is to measure your wrist and add about one inch. By adding one inch, the bracelet will be comfortable to wear when beads are added. 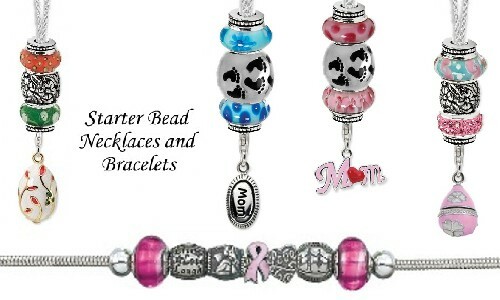 We also have beautiful starter bead charm necklaces, they have room to add your own beads.